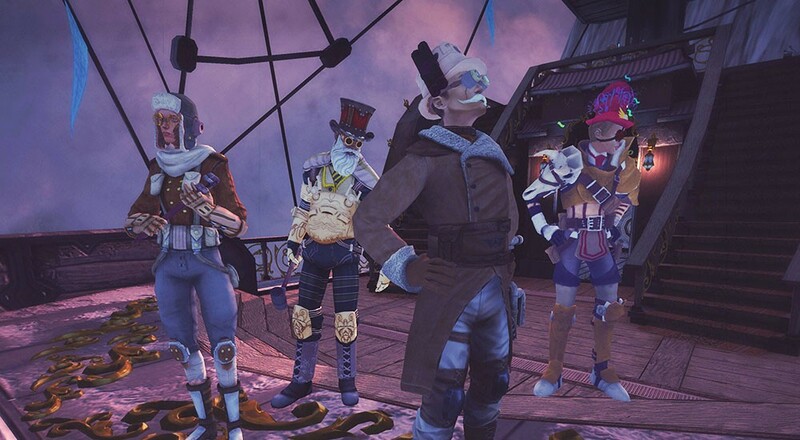 Muse Games' steampunk airship combat title, Guns of Icarus Alliance, is making its way onto the PlayStation 4. When it does, not only will it feature cross-platform play with the Steam version of the game, but cross-platform voice chat as well. While cross-platform voice chat utilizing 1st party platforms/tech isn't that usual (e.g., the way Sea of Thieves allows Windows 10 and Xbox One players to communicate), this will mark the first time that a game allows for cross-platform voice chat utilizing 3rd party platforms. Slowly, but surely, those the doors are opening to allow folks to play with their friends regardless of the platform they're on. Guns of Icarus Alliance is available on PC via Steam and, starting on May 1, 2018, the PlayStation 4. It supports up to 16 players online in the Alliance mode, where teams of 4 players each take control of a ship and work together to battle A.I. enemies to complete objectives on a map. The title will retails for $14.99 on the PS4 when it is released. Page created in 0.3310 seconds.